Customize your GUNPLA, pose it, and post a picture! *Please use genuine BANDAI products. *Please make sure not to include products other than GUNPLA in photos. 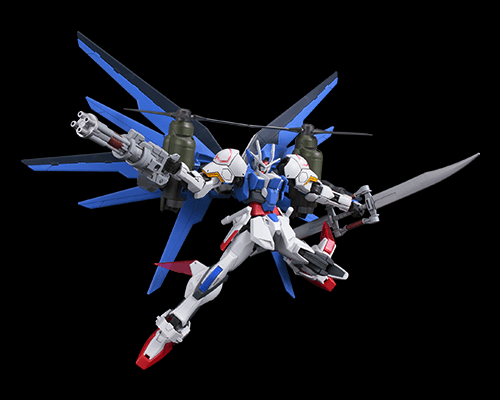 *Kits outside of the Build Divers series can be used! *Please refer to the posting guideline for more details. ･A photo using a genuine BANDAI plastic model kit and a comment (in text form) is required. ･Photos must be in PNG, GIF or JPEG form and under 3M. ･Please do not post photos or comments that violate the rights of others. ･Please note that BANDAI will not take responsibilities in the case of troubles such as the allegation of infringement of rights from third parties. In addition to this, please read the "Posting service guideline" regarding other posting regulations. ･Posted photos may be shared on the "anime official website" and "Bandai Hobby Site." In addition, we can not answer inquiries about selected posts. ･As many posts can be made during the duration of the contest. ･Please do not post URLs in the comment sections.